It's hardly Finley's fault that she was fired. The governess Miss Clarke ought to have known better than to slap her charge hard enough to make him cry, just for taking an extra biscuit from the tea tray. There's no call for that, and in Jayne's estimation she deserved that punch to the mouth. It's rather odd, though, that a maid her size would be able to swing hard enough to send her flying. And her teeth must have been in terrible condition for her to lose them so easily. Finley wonders a bit about this terrible temper she's had of late. Normally a good-humored young lady, recently it's as if there's an invader in her own head. One minute she'll be as docile and calm as ever, and the next she's lashing out at someone, or not holding her tongue as she ought. Hardly a flaw that is acceptable in someone in her position. Either way, whether it was because of her extraordinary strength, or her lack of control, she's been let off and now she gets to return to her mother and stepfather in disgrace. Again. She's fortunate enough that her parents have the resources to let her stay with them, but she still feels like a burden when she ought to be out working for her living. Luckily, she's able to leave her parents' care very quickly. It turns out that yes, word of her ignoble departure from her last position has indeed made it into the gossip that swirls around London's upper-class households. 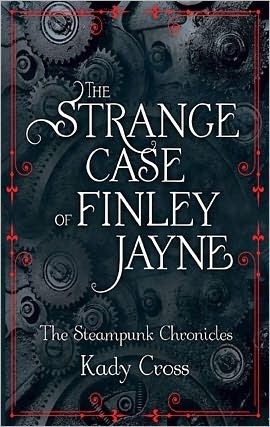 While most would assume that a lady of the house would avoid such an unpredictable maid as Finley, there is in fact one Lady looking for someone just like her. Lady Morton needs a companion for her youngest daughter. About the same age as Miss Jayne, her duties would essentially involve being the girl's shadow, following her to dances and out visiting and such. After being a maid, it's much less demanding work, and for much better pay as well. It turns out, Lady Morton appreciates that a maid would defend a child with no thought to her own position in the household. It's a good thing that Miss Phoebe will have such a protective companion. Her father has made a match of convenience for her, as the man is willing to cover his many gambling debts and keep him funded in the future. Her betrothed is quite a bit older than her, and the more Phoebe's mother and Finley find out about him, the more uneasy they are about the whole situation. 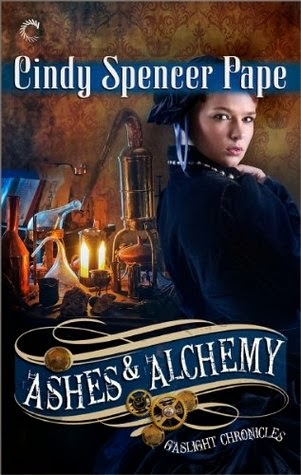 Kady Cross sets the stage for her Steampunk Chronicles series with a novella introducing us to the heroine of the first full-length novel. Lots of threads are left unfinished, as these will be addressed later in the series, but the main story story concludes satisfyingly by the end. Cross shows that she can develop an interesting world with sympathetic characters, and leave readers wanting the next story. Highs: Almost any reader can sympathize with wanting to let that voice making snarky comments out once in awhile. Lows: None of the overarching questions of the universe or of our main character are answered here, which makes the story rather unsatisfying as a standalone. Verdict: Well-written, if a bit thin main plot, perhaps better enjoyed after reading the first full-length story. 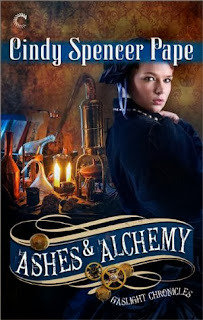 Note: Ashes & Alchemy is the sixth story of the Gaslight Chronicles series. While the stories work well as stand-alones, there are inherent spoilers, especially where the romances are involved. An epic tale of magic and machinery comes to an end. 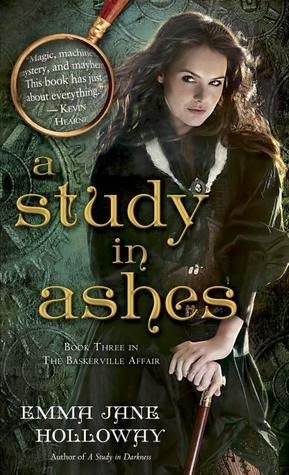 There's still time for the story to expand before it comes to a conclusion in Emma Jane Holloway's A Study in Ashes. 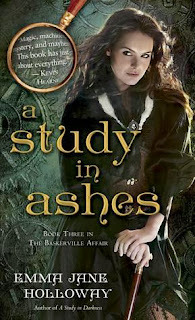 Note: A Study in Ashes is the third book of the The Baskerville Affair series. For the first book, A Study in Silks, click here, and for the second book, A Study in Darkness, click here. Otherwise, read on!